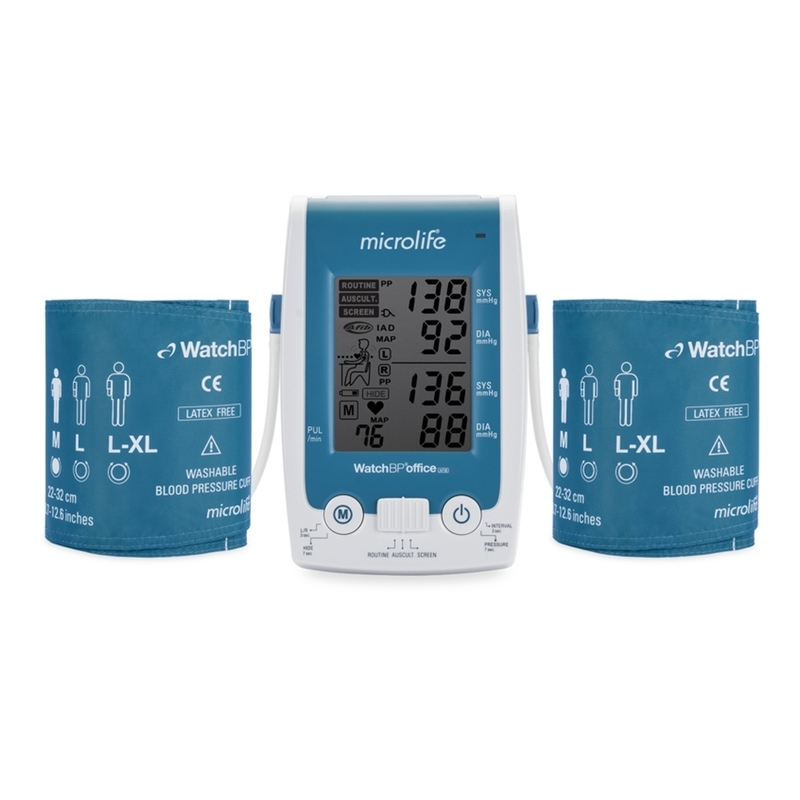 The WatchBP O3 (Out Of Office) blood pressure measurement device from Microlife is the first blood pressure monitor that passed the validation procedure provided by the European Society of Hypertension (ESH) for clinical, ambulatory and self-measurement devices and incorporates the new NICE Guidelines. It is also the only ABPM Validated for use in Pregnancy Preeclampsia which makes the WatchBPO3 a unique product. 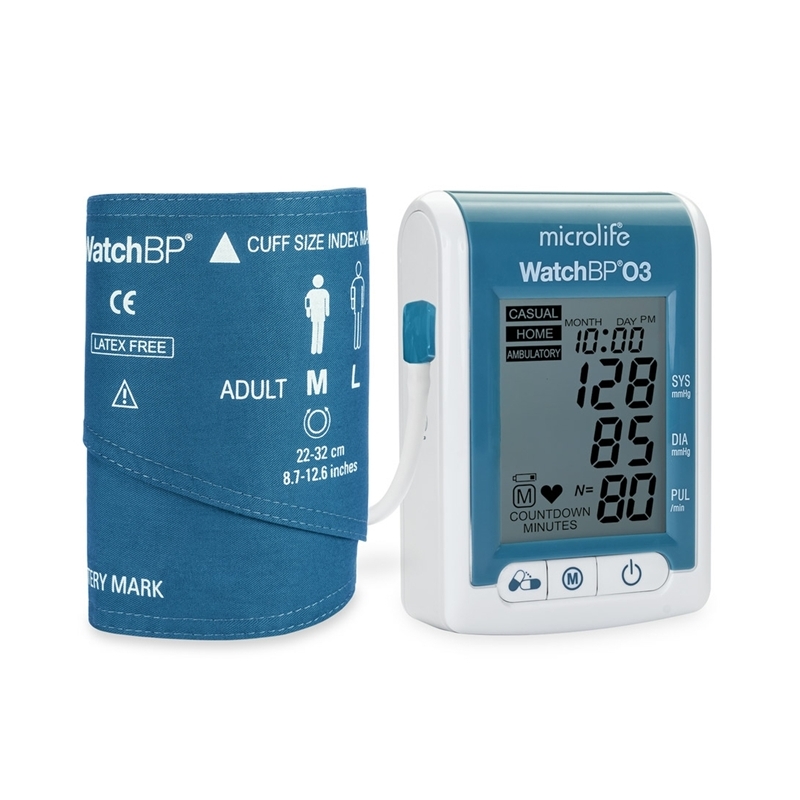 In addition to providing a highly affordable ambulatory blood pressure measurement device (ABPM), the WatchBP O3 also includes an embedded 7-day home measurement mode that strictly follows ESH and AHA measurement guidelines. 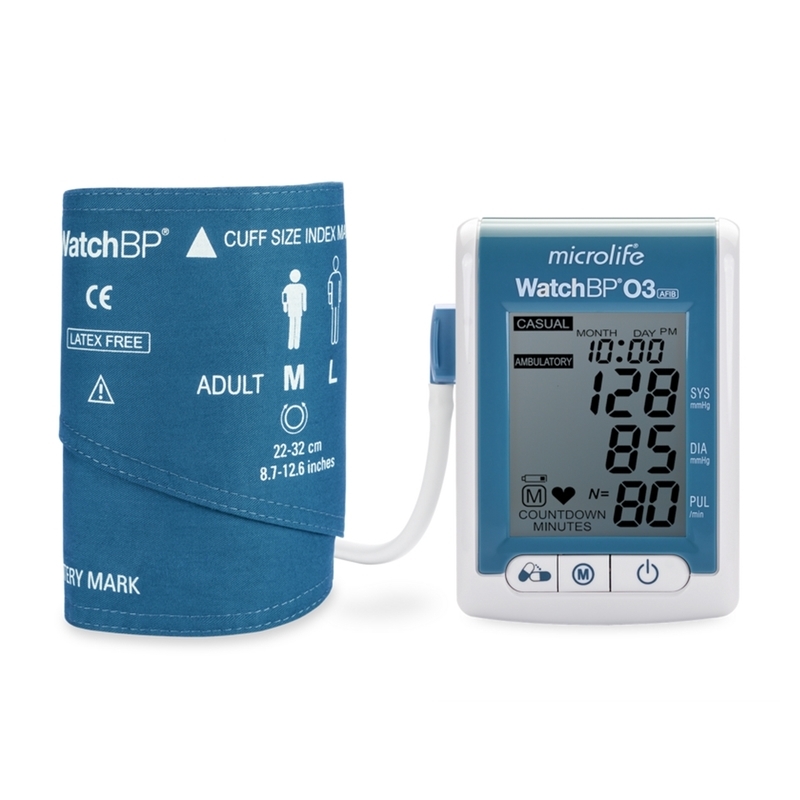 As such, the WatchBP O3 serves as a total out-of-office blood pressure measurement device, validated and recommended for clinical, home and 24-h blood pressure monitoring. The WatchBP O3 package includes sophisticated software free of charge. • 7-Day SBPM Mode - for collecting reliable self-measurement data. 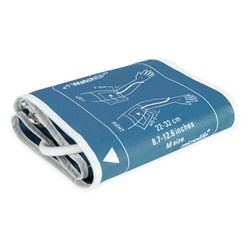 • Lightweight and Compact - For improved patient comfort. • PC Connectivity - Transmit BP measurement data to any PC via USB connectivity. Small sized blood pressure cuff for use with Microlife Watch BP O3 ABPM Devices. 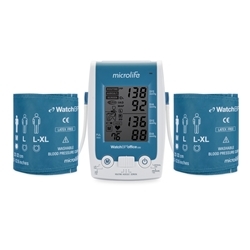 Medium sized blood pressure cuff for use with Microlife Watch BP O3 ABPM Devices. Large sized blood pressure cuff for use with Microlife Watch BP O3 ABPM Devices. 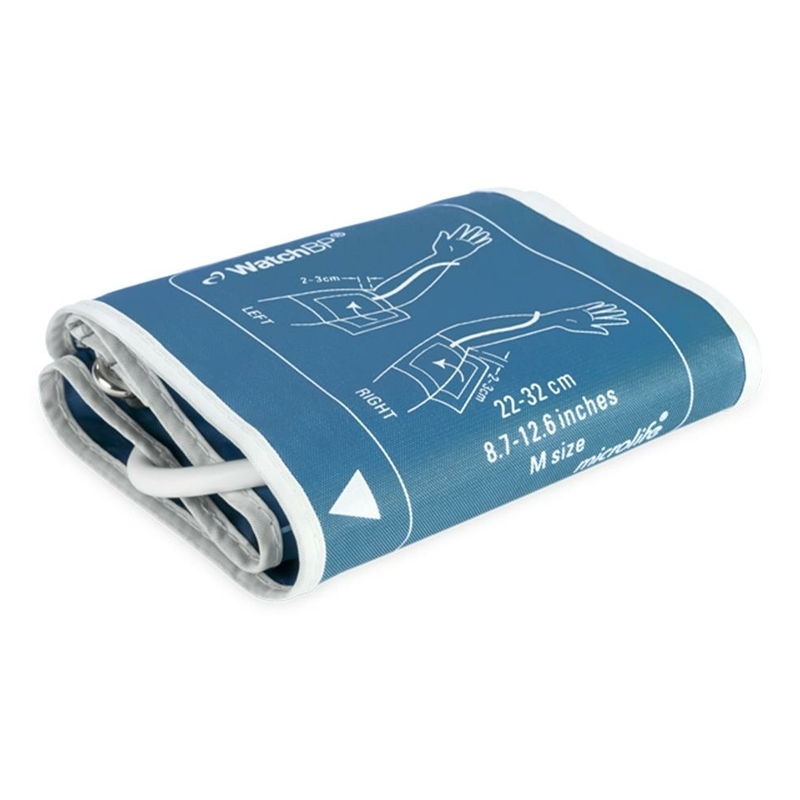 Extra Large (Obese) sized blood pressure cuff for use with Microlife Watch BP O3 ABPM Devices. • Made from hardwearing and durable materials to provide many years of trustworthy use. High quality and easy blood pressure monitor for doctors’ office with built-in atrial fibrillation detector. 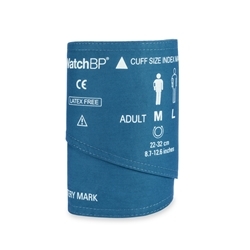 WatchBP Office Basic screens for atrial fibrillation with high accuracy at 97% - 100% sensitivity and 89% specificity during blood pressure measurement. It is easy and conveniently automated. One touch for measuring blood pressure and screening for atrial fibrillation at the same time, two major controllable risk factors for stroke. Semi-automated Auscultatory mode for e.g. use in elderly and obese patients and those with arrhythmia. The WatchBP Home A is a Home blood pressure device equipped with an atrial fibrillation detection system. When you have made a diagnosis of hypertension and/or atrial fibrillation the WatchBP Home A is the best tool to optimise treatment and decide whether to prescribe anti-arrhythmic drugs. With the WatchBP Home A you can easily verify the working of these drugs, while at the same time monitoring blood pressure. 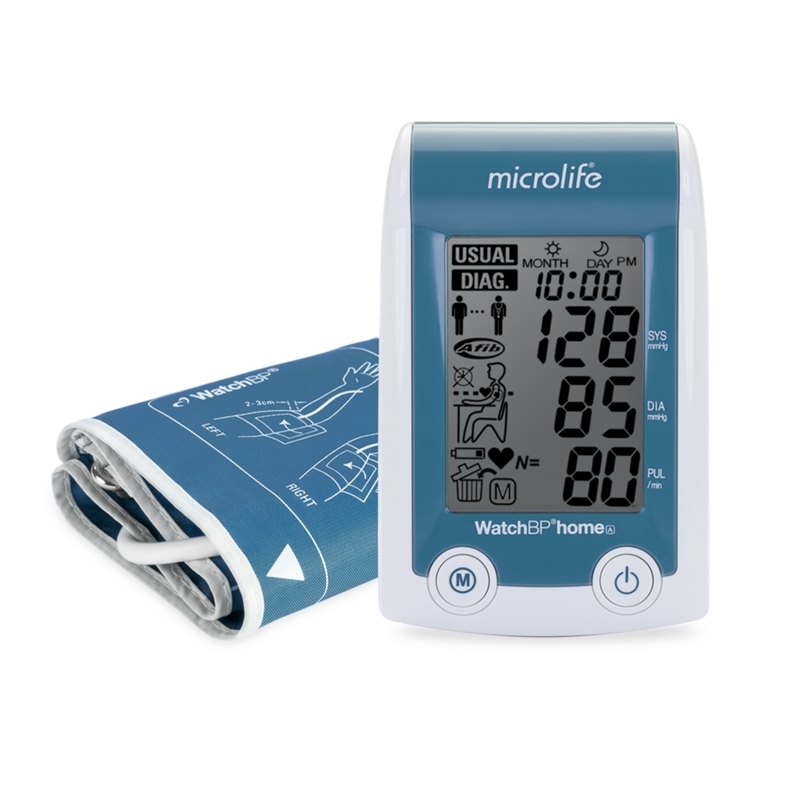 Large sized blood pressure cuff for use with Microlife Watch BP Devices. 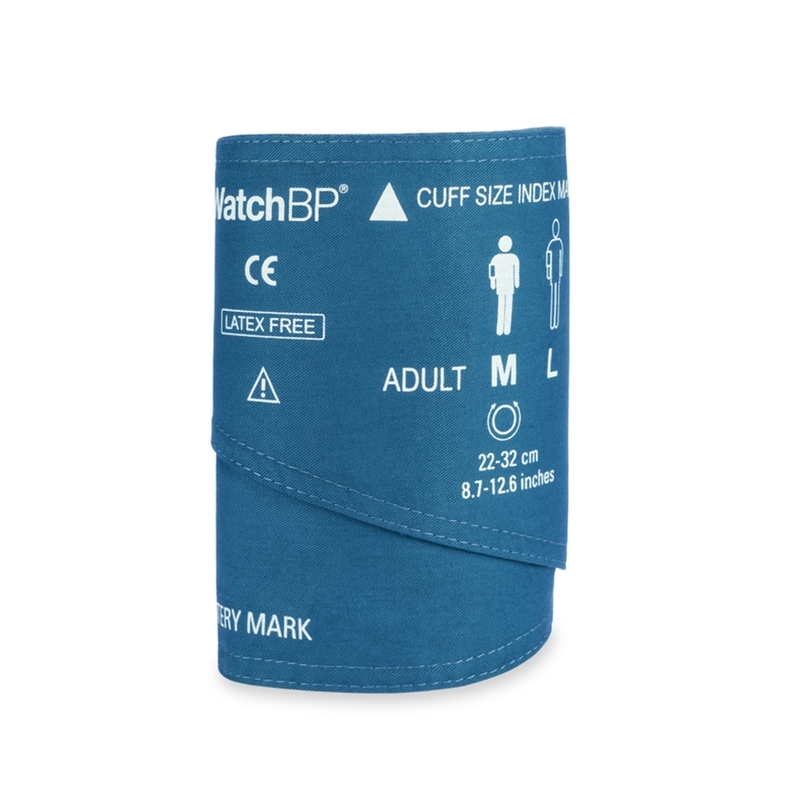 WatchBP monitors with implemented Afib detection system allow patients to be screened for Afib during blood pressure measurement. The Afib detection system has convincingly proven its accuracy, and showed that it leads to increased detection of new patients with Afib when used in general clinical practice. WatchBP Afib detects atrial fibrillation with high accuracy (sensitivity 97-100% - specificity 89%) as demonstrated in multiple comparative studies with ECG.